Kids’ needs change rapidly so it’s great when you find stylish furniture that has the ability to change as well. 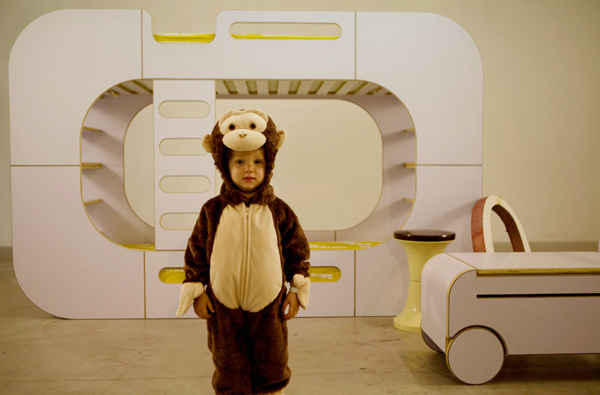 IO Kids Design, a London-based designer kids’ furniture company, really understand this concept. 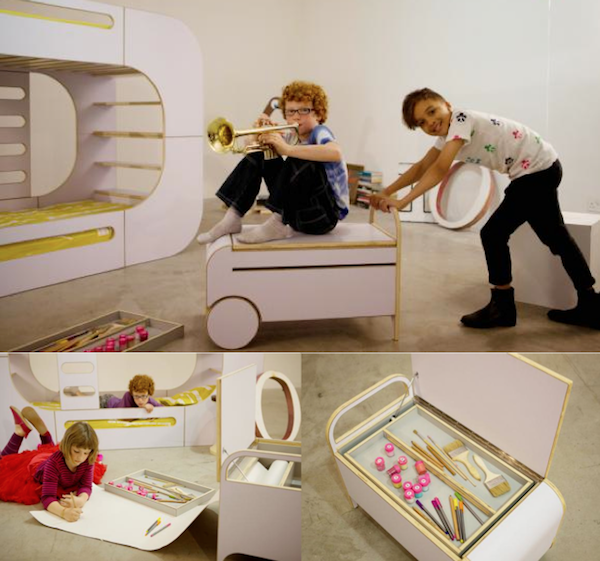 Their Bunk Pod and Doodle Box are absolute transformers! Let’s start with the bunk bed. 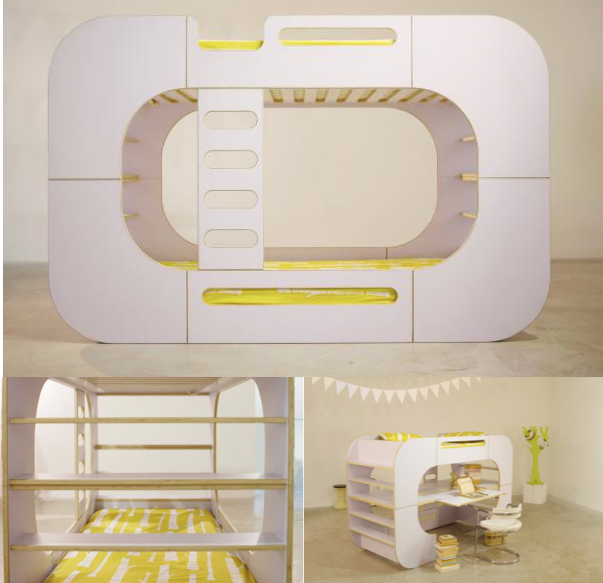 IO Kids Design have brought this iconic piece of children’s furniture to a whole other level creating the Bunk Pod, a place for children to study, store and sleep. It can be turned into a bed and desk, two side by side beds or a day bed with little fuss. Let’s face it, it is super cool and however kids feel about it, design conscious parents are going to love this. It is modern, funky, smart and space saving, (a big sell for this apartment dweller.) It’s not exactly a bargain, starting at around $3380 but it has serious design cred. The Doodle box is just as smart and versatile. Craft box, paper dispenser, seat on wheels. The lid lifts out to become a tray to draw on and no space is wasted as it has a huge storage cavity. This retails for around $1099. Both products are made from laminated Scandinavian birch so they are smooth and long wearing. IO Kids Designs are still busy searching for Australian retailers right now but they do ship internationally and have both products available online.